You've got a story to tell. Maybe you've survived a crisis, or been on a life-changing trip, or loved and lost and loved again. Or maybe you just want to write your story down so that your kids and grandkids can read it. Either way, you want to write a memoir. But it can be hard to know where to start. 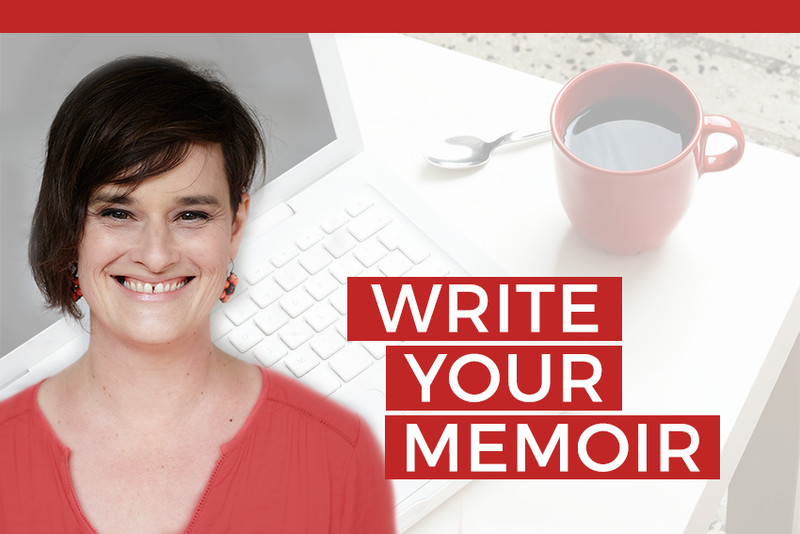 Here are three things that will get you on the way to writing your memoir. As you're thinking about the events you want to write about, try and identify the moments that felt important. Perhaps the circumstances shifted so that everything changed. Perhaps you had a big realization and your whole perspective became different. What was the lowest point? The highest point? The point of decision? The point of action? Where was the resolution? You might want to use our Memoir Inspiration Worksheet to help you identify three of thegame-changing moments in your story. Writers often laugh about whether they are 'plotters' - who make extensive plans and diagrams to work from and get panicky if they don't have an outline - or 'pantsers' - who just start writing and see what happens. If you're naturally a plotter, make the most of your tendency and create a chapter plan to follow once you've identified your game-changing moments. Be careful though - don't fall into the trap of having to have the 'perfect' plan before you can begin writing. Sometimes too much planning is a procrastination ploy to put off writing - often because we are a little bit scared. If you're naturally a 'pantser', it's still wise to create a rough outline to follow, using your 'game-changer' moments as key events to write about. Sure, you may end up going off on a tangent, but at least you'll know your destination and endpoint if you already have a plan. The danger with being a pantser is that it's easy to get discouraged if 'the writing muse' doesn't just appear out of nowhere and inspire you. A lot of pantsers end up quitting. "I tried, but it didn't work," they say. But in reality, it could work, and work well, if you give yourself the structure and discipline of an outline to keep you on track. While you're planning, create a plan for when and where you're going to do your writing. How will you create the time to write? How will you stop people encroaching on it? Will you give yourself enough time to make a good go of this? You can use our Memoir Planner Worksheet to start outlining your story. Just download, print, and go. A trap that lots of first time memoir writers fall into is in just summarizing their memory of an event, without actually bringing the reader into the picture. You need to turn your memories into 'scenes' that create place, characters, an atmosphere and a story for your reader. For example, I could quite easily write this in my own memoir. As kids, we spent lots of time playing down in the forest. Almost every day we'd go down and make up games and run around. Sure, it sounds fine. But it doesn't really do more than give a summary. What if I did this instead? We gathered all the kids for the forest games: the three of us, in scrappy shorts and gumboots, plus the two girls from the flat upstairs, always more glamorous with their hair done nicely, and the boys across the way. Nobody noticed what they looked like: you only saw how many of them there were, noisy and buzzing around wherever you looked. The forest floor was soft with fresh grass, and slippery with pine needles. There was mud, too, which those boys always found a way to throw, or to smear on themselves. My mum threatened us with near-death if we came back muddy. "No water to wash with. Don't get dirty," she told us, every single day. But we did, sliding down the steep parts on our bottoms, dodging nettles and screeching to a halt in front of rocks. Or, sometimes, if unlucky, scraping knees and elbows on sticking out branches. Don't just summarize. Take a journey in your head and your heart, right back into the situation. Use all your memory senses. What can you see, hear, feel, smell and taste in your recollections? That's the stuff that you need to get on the page so that you can take your reader right into the story. Try it out right now with our Scenemaker Writing Prompt Worksheet. Download, print it out and get writing. Like what you're reading? You'll find more great direction, guidance and writing how-to in our 12-week Write Your Memoir course.